Here at Blake, our Bespoke Service offers unique, made to order envelope and packaging solutions, designed for a specific purpose. With the ability to supply almost any shape and size of envelope using almost any kind of material, our skilled team are always able to come up with that special something to suit the most particular requests. Here we share the success of a bespoke project the Blake team completed for Pencil Studio. 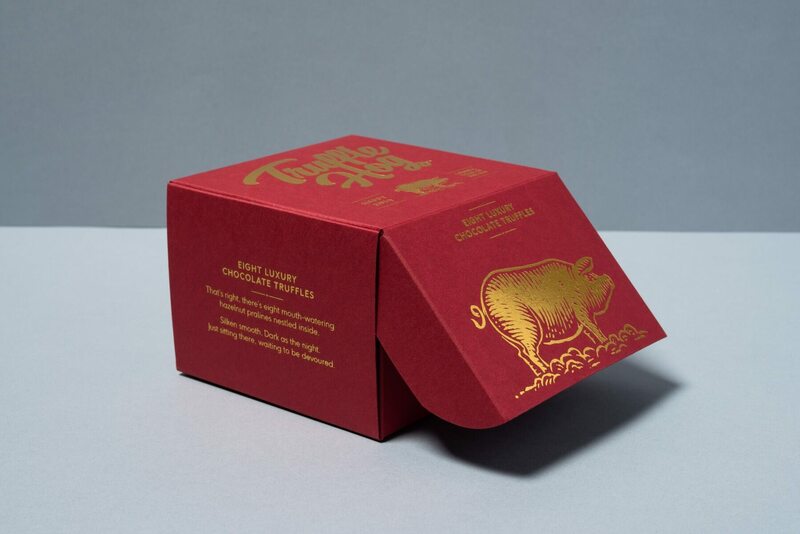 When Pencil Studios approached our team, they needed a carton gift box for their truffles which would be used as a gift for their clients to mark the Chinese New Year. The brief instructed, “These need to be very high quality”, so with this in mind, a premium stock from GF Smith was carefully selected (Colorplan Scarlet 350gsm). This luxurious card was then embellished with gold block foil to all sides, even including the divider insert, creating a really striking design. The final stage of the production process was to die cut the boxes to size, creating a folded carton that, we're sure you'll agree, really stands out!